Our staff is highly-trained in the latest and most effective bird control methods. Call our team today for a no-charge, on-site consultation. Contrary to popular belief, pest birds, their droppings, and even their nests can cause serious property damage to your home or commercial building. When you work with our local bird control company, our technicians will create an individualized plan for your bird issue before implementing removal and deterrent methods. We specialize in nest and roost removal, structural modifications, roost decontamination, and flock dispersal. Call our bird control specialists today to schedule an appointment. Colorado Pest Management has over 30 years of experience controlling bird problems. Did you know that pest birds, their droppings, and their nests cause tens of millions of dollars in property damage every year? Were you aware that pest birds can contribute to respiratory problems, viral infections, and food poisoning? Our technicians approach each case with care and create an individualized plan for each pest bird issue. Nuisance birds can create health and property damage problems. We utilize the most humane methods for controlling pest birds. We provide removal and deterrent methods. Our technicians are always careful of children, pets, and non-target animals. We always offer reasonable prices! Since bird control situations must be evaluated in person, we are unable to provide a phone estimate for bird control. However, there is no charge for the on-site consultation. We are unable to treat migratory birds April 1st – October 1st each year. Colorado Pest Management has highly-trained, dedicated personnel who specialize in the latest bird control methods. So, why should you remove birds from your property? Birds are an important part of Colorado’s natural environment, but unwanted birds can result in wildlife nuisance problems. 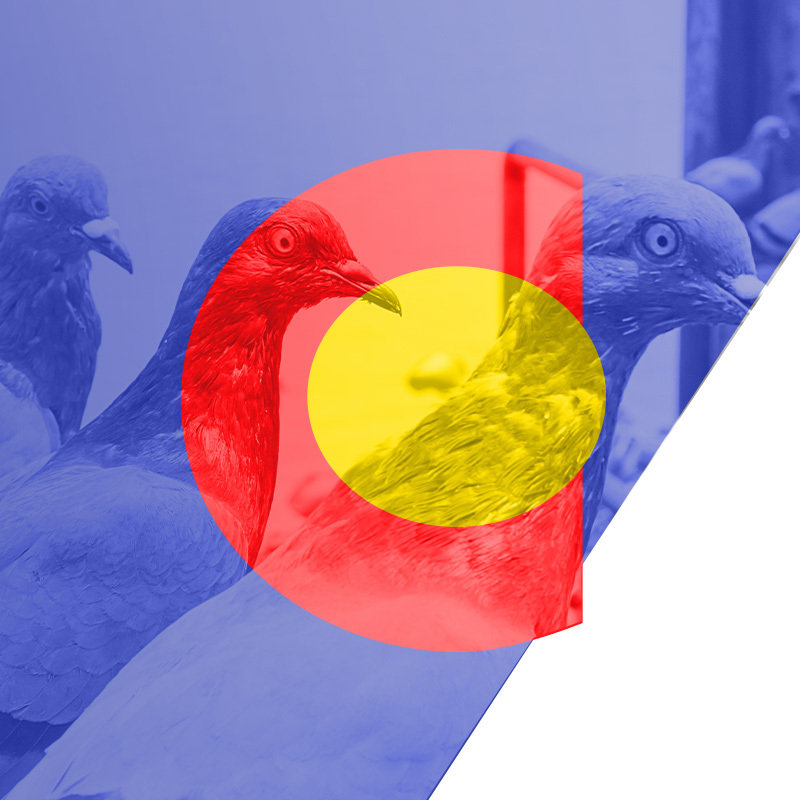 The state of Colorado is home to more than 400 bird species, and nuisance birds can be very difficult to handle because there are federal laws that limit the types of removal methods that can be used. Histoplasmosis – This disease originates from a fungus that grows on dried bird droppings. When it comes in contact with humans, it can lead to a respiratory disease that can be fatal. Cryptococcosis – Caused by yeast that is found in the intestinal tract of pigeons and starlings, this illness usually starts as a pulmonary disease that may later affect the central nervous system. Many people come in contact with this yeast in typical nesting and roosting sites such as in attics, schools, warehouses, and barns. Salmonellosis – While you may know salmonellosis as food poisoning, this disease can be traced to pigeons, sparrows, starlings, and other nuisance rodents. The disease bacteria can be found in bird droppings, and the dust from the droppings can be sucked through your home’s air conditioner or ventilator. This can contaminate food and cooking surfaces in your home. Candidiasis – Candidiasis is a yeast or fungus infection that is spread by pigeons. This disease can affect your skin, mouth, respiratory system, and urogenital tract. Controlling the birds on your property can be an extremely difficult task, especially if you’re not familiar with the type of birds that are causing you problems. The big secret to controlling birds is to deny them places to land and nest on your property. Another method to controlling birds is to trap the birds that are roosting, but a bird control expert will be able to help you decipher the best method of action. The starling is a black, speckled color bird that has a very short tail. This bird was introduced to the United States from Europe in 1890, and they love nesting in man-made structures that offer them ample roosting areas. While starlings normally just eat insects, they are also known to munch on small fruits like grapes and apples. These pesky birds love to disrupt native bird habitats, destroy fruit harvests, and more. You can often find these birds building nests in your attic. 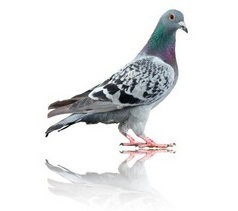 Pigeons are the number one bird nuisance in heavily urbanized areas like Denver. They are easy to recognize by their gray-blue feathers and their familiar “cooing” sounds. 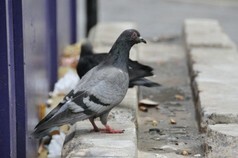 Due to the high acid content in their bird droppings, pigeons pose a large sanitary risk to commercial buildings and family homes. When pigeon debris is accumulated, it can clog up your gutters and drains, which can ultimately lead to damage and flooding. Woodpeckers are known for drilling into trees with their beaks in search of food or to communicate with others. These birds are easily identified by their stouts, sharp beaks, and backward-pointed toes, which allow them to cling to various surfaces while pecking. The state of Colorado is home to various types of woodpeckers, and the northern flicker tends to be the most common. Woodpeckers love to drum on wooden siding, metal or plastic gutters, chimney caps, and light posts because these materials produce loud noises. The sparrow is another pesky bird species that was introduced from Europe during colonial times. The male sparrow is most noted for its black bib and white cheeks, while the females tend to be more difficult to identify. These birds love to eat, and they’ll cause damage to your garden or landscape if you’re not too careful. In residential areas, many Colorado homeowners complain about sparrows nesting in or near their homes. Chimney swifts, as their name suggests, are a bird species that loves to get into chimneys. This bird has the unique ability to flight straight up and down, which is something very few bird species are capable of doing. This species has a long, cylindrical body with curved wings and a short tail. If you’re concerned that chimney swifts are nesting in your home’s chimney, contact Colorado Pest Management today. Geese, swans, and ducks can all be nuisance birds, especially if your home or business is near water. 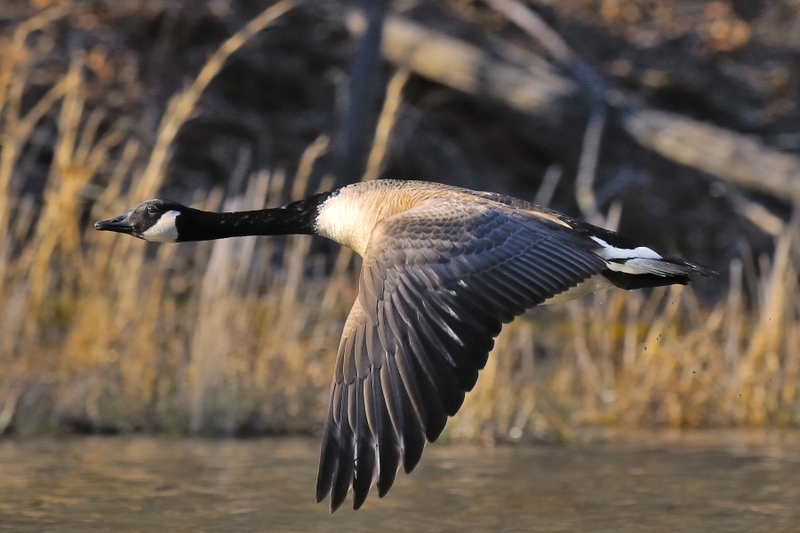 Geese can be especially tricky to get rid of, since they will hiss at anyone that comes near their babies or nesting area. Dealing with water fowl can be complicated, and oftentimes it requires a customized solution. If you need professional assistance getting rid of nuisance birds from your property, contact the friendly staff at Colorado Pest Management today. We’ve been service Denver residents and business owners with the best pest and wildlife control solutions since 1989. Our wildlife control experts use eco-friendly and pet-safe practices to ensure the health and safety of everyone on your property. From wildlife control and exclusion to vole and bird control, we can handle all of your pest and rodent control needs.